Jammu: A militant involved in an ambush on a BSF convoy on the Jammu-Srinagar highway on Wednesday has been captured, authorities said. Initially there was confusion over the name of the militant. The terrorist told the investigators that his name was Mohammed Naved. But in a video shot minutes after he was handed over to the police, he called himself "Usman." Earlier TV channels reported that his name is Qasim Khan. According to initial reports, Usman aka Naved was caught with a AK-47 rifle. The attacker came from Faisalabad, Pakistan last week, intelligence sources said. A top police officer said that preliminary questioning has revealed that Usman, aged 16-18 years, is from Faisalabad in Pakistan and he told police that he had recently infiltrated from across the border to carry out terror attacks here. Security forces claim he is a Lashkar-e-Taiba operative. "Its fun doing this," Naved, the suspected Lashkar-e-Taiba militant from Pakistan who was caught alive after the attack on the BSF convoy that killed two constables, revealed casually to cameras. 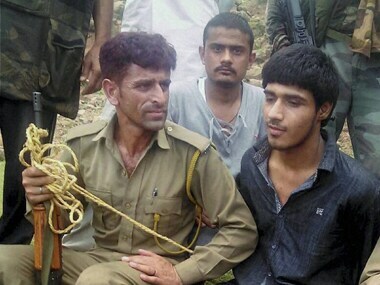 Naved, who says he hails from Faisalabad in Pakistan, claimed before the media that he entered the Jammu region 12 days ago along with a fellow terrorist identified as Momin Khan. 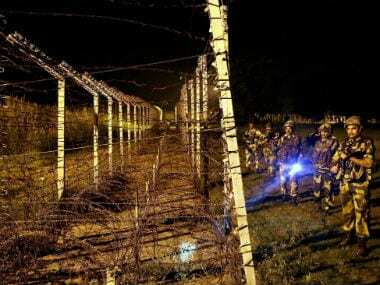 Khan was killed in retaliatory fire by BSF. "I came to kill Hindus," said Naved, dressed in a dark blue shirt and brown trousers, with a relaxed demeanour. 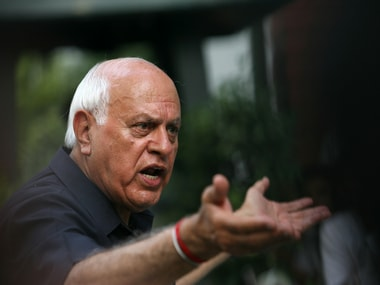 He also alleged that Kashmiris were being killed all the time. "It has been 12 days since I came here. We walked all days in the jungle," he said as villagers clicked pictures with the prize catch. "I am from Pakistan and my partner was killed in the firing but I escaped. Had I been killed, it would have been Allah's doing. There is fun in doing this," Naved said. Initially, he said that he was in his early 20s but later claimed that he was only 16. He had been changing his statements. First he identified himself as Kasim and later as Usman. Two militants had attacked a Border Security Force convoy on Wednesday morning killing two troopers and injuring 11. One of the attackers was shot dead in retaliatory fire. The other attacker then fled to a nearby village where they took three people hostage in a school. The militant was arrested after an operation was launched by the army and the police, Deputy Commissioner, Udhampur, Shahid Iqbal Chaudhary said. The freed hostages later said to ANI they overpowered the militant and brought him down. "As I came out of my house after hearing gun shot, this militant came and asked me to come with him. He had already taken three-four people along," Rakesh Kumar, a youth who was taken hostage said. "We were taken at gunpoint to the school. He asked us to show us the route to escape from the area," another hostage, Vikramjeet said. The militant threatened them that if they didn't show him the route, he would kill their family, he said, adding that they also offered him some food. While the other three, Desraj, Subash Sharma and Jeeven, managed to escape, Vikramjeet and Rakesh fought with the militant and caught him after a tough struggle. "I caught his neck and he (Rakesh) caught hold of the gun. He (the militant) fired a few round but we escaped narrowly and caught him," Vikramjeet said. According to an NDTV report , the attacker, armed with an AK 47, was overpowered by his hostages as he was firing at the police. According to ANI, Vikramjit said the attacker wanted to escape and threatened him. "Once he saw police was coming he threatened us, Rakesh caught his neck, I held on to his gun, he shot too," Vikramjit said to ANI. Congratulating the security forces for killing one militant and nabbing the second terrorist alive, senior Congress leader Ghulam Nabi Azad said, "Catching a terrorist alive is a huge achievement. 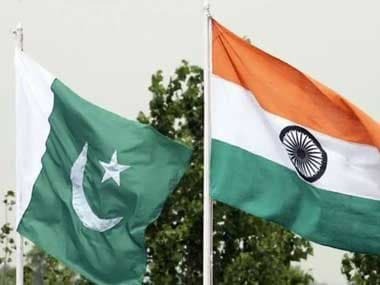 Due to this, in the coming time we will get to know about the future attacks which Pakistan has planned." Ghulam Nabi Azad, a former J-K Chief Minister, said Pakistan stands completely exposed with this incident.